A twelve-month high-touch coaching experience designed for the woman who wants to make 2019 the year where all changes, hit every single goal she set out to achieve (not matter how crazy or far-fetched they may seem), create a clear plan to scale and grow her business, and all on her own terms. I am looking to work with women who know they are high-performers, big dreamers, and action-takers who want to take their businesses to the next level. If that sounds like you, you gotta get on the waitlist! Here’s the thing: you know you’re meant to make an impact. You know you’re meant to help others in big ways. You know you’re meant to create a legacy beyond yourself. Create a brand that absolutely shines and is 100% YOU so that your ideal client is absolutely attracted to what you have to say. Develop strategies and systems that create independence and freedom in your business, that are simple and effective. Generate consistent and significant income so that you can circulate that back to your family and community. It’s not a matter of working harder, you’re not unfamiliar with hard work, it’s a matter of making that work create more impact and be more effective. Creating a business that generates $100,000 to $250,000 months isn’t out of the realm of possibilities. ANYTHING is possible in your business (truly, I 100% mean it). Sure, you may be feel that you’re so far away from that type of income, you might even feel fear or be intimidated by those types of number, but imagine knowing that you want that type of success and NOT achieving it. What feels scarier? Going for it and knocking the rest of this year out of the park? Or having another mediocre year? What would be scarier for you? Who will benefit from the Legacy Mastermind? Women who are willing to be challenged and coached. I’ll be pulling out all of the stops during our calls to challenge you to grow and push you outside of your comfort zone, which is where growth happens. You want to create a mix of active and passive income, so that you can diversify your offerings are serve your clients in a bigger way, no matter what stage they are in. Women who want to create consistent income, so that they can invest back into their business, their family, and their communities. If you’re a service-based coach, consultant, entrepreneur, speaker, or influencer looking to make a larger impact ready to grow your beautiful, heart-centered business and leave a legacy of generosity and freedom, the Legacy Mastermind is meant for you. To get to the next level in your business (whatever that looks like for you as an individual) something has to change. The type of support you get has to change. The way you approach your business has to change. YOU have to change. What you need is someone in your corner, cheering you on, supporting you, and challenging you every darn day. If this sounds like EXACTLY what you need, then I invite you to get yourself on the waitlist for the 2020 round by clicking the button below. I don’t do cookie cutter marketing strategies, one-size-fits-all doesn’t work (and wouldn’t be worth your time). For the entirety of 2019 you will get twenty-four, 60-minute group coaching calls that will feature hot seat coaching and exercises and strategies that will bring your business to the next level when put into action in your business. You’ll also get twelve, 30-minute 1:1 coaching calls where we can dive deep into aspects of your business that you need to spend more time on and need more support in. Additionally, the exclusive Facebook group will give you a chance to get daily support and accountability, to work through ideas over the long term, be challenged, and get invaluable feedback from not only Allison herself, but also your Mastermind sisters. Monthly we’ll read a personal development book together and hop on a call to discuss what we learned, what our “ah-ha” moments were, and how to use this information to move us and our businesses forward. Daily you’ll be able to access Allison directly through Voxer, which is a walkie talkie-style app, that will allow you and Allison to work through ideas together real-time. You'll also get one training per month with a Guest Expert Lifestyle Coach to help you grow your business, by working on yourself. 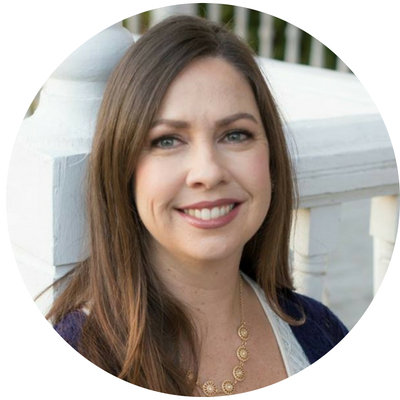 Jody works exclusively with busy moms who want to feel less overwhelmed and more fulfilled and she’s known in her industry for transforming the lives of moms through the art of self-care. In her training we’ll cover what self-care looks like for a busy mompreneur, how to actually fit in self-care, and what that might look like for you in your individual needs. Ali is a believer, a wife, and a girl momma x2. She helps women go from hot mess mom to organized, efficient, and peaceful in 30 days. In Ali’s training she’s going to be sharing her best tips for keeping your productivity high while wrangling kids at home, how not to use the TV (or phone, or tablet, or computer) as a babysitter, and action-items that you can institute to give your time management an overhaul. Elizabeth Enright Phillips is a professional financial coach for high-caliber women serious about building a solid financial foundation for their family and business. Elizabeth has coached women around the world in correlating business and personal finances, systematizing financial structures for optimum cash flow, and building residual income in a wide variety of industries. During her training we’ll be discussing how minimalism informs her point of view on finances and how we can start to work towards a more streamlined business. Additionally you’ll grow your business, while exploring new places. Get the chance to meet your mastermind sisters in-person and dive deep in business strategies, mindset work, and hot-seat coaching through two retreats, exclusive only to the Legacy Mastermind. Hi! I’m Allison Hardy, Business Strategist for mompreneurs. I help women raise their businesses while they raise their families, so that they can live life by design. I’m the creator of the Life by Design podcast, a Huffington Post contributor, was named one of Washington, DC’s most influential people under the age of 40 by Washington Life Magazine, and most importantly, wife to Teer, and mom to 4 year old Camden and 4 month old Nora. In my 12 years of online entrepreneurship, I’ve had 5 different businesses and I can honestly say, I’ve tried it all. Some were ridiculously successful, some were ridiculously unsuccessful. But this is why I do what I do, because I want to help you to stop riding the struggle bus and truly flourish, on your terms. And here’s my philosophy on life and business: there is absolutely no point in waiting around for your “success” or for you to “make it”. Life is short, you only get one chance, so why not live it large and create a legacy? If you know that deep down inside you’re meant for more, then go after that calling and live life to the fullest. Your business can be a massive facilitator for good in the world. Your business can literally change the lives of others, while simultaneously changing yours. Your business can feel magical. The thing that facilitates that type of impact that you crave? Getting out of your comfort zone. You have to take the leap that you KNOW you need to take, and build your net on the way down. There is absolutely no point in living inside of your comfort zone, nothing amazing happens there. Your business can and will change the world, you just have to act like it. When it comes to my business, my clients get all the stops. They get an unfiltered look into what I’m doing in my business, how I’m growing it, and what is working and what is not. I feel it is my duty to push past the smoke and mirrors that is online business, and show you the reality of what it takes to build a profitable and impactful online business. If you’re looking to create a true LEGACY that impacts generations, then the Legacy Mastermind is for you. More impact, biz-besties, and true connection. So what exactly do you get with your enrollment? Are you ready to truly SCALE in your business to 6-figures in 2020? "Before I started working with Allison I was boot strapping and self-teaching. I was pulling information from all differnet places and I couldn't find direction and a clear path for my business, I was all over the place! That was the key to enrolling and working with Allison. The step-by-step directions she delivered gave me a place to start and gave me understanding of where I'm going and how I'm getting there. Allison helped me to get clarity surrounding what does my business needed, what my clients needed, and how I become successful with what I want to share and how I share it. And that was the biggest thing that I got from our time together. I stalked Allison for a year and she was really patient with me and my needs and that's been such a relief! In my point of view, it's not about whether or not you're going to spend money on your business, it's a matter of how and who you're going to invest in. Allison was really open, available to listen, and was very available. I was really surprised at how often I was able to ask questions and get answers quickly and directly from Allison." "In working with Allison I realized how necessary community is for me and my business. It was so important for me to be surrounded by women who wanted to support me and be supported by me. Through the community and Allison's support I was able to work through ideas and theories, and gain the clarity I've been looking for in my business for months! I was able to get clear in what my brand is and who my brand is for. I got a lot of insight and ideas on different ways of doing things, and through the ideas from both Allison and the other women in the program I was able to find a way of working and branding myself that feels authentic and attracts my ideal client to me." "I started working with Allison because I knew I wanted to start to grow my business. And Allison was just so focused on all of the pieces of my business that I didn't really even know existed. While working with Allison I got my first premium client, I started my Facebook group, I built out my first email funnel, Iv'e more than doubled my email list, and I started my Facebook group. And I know that from working with her that 6-figures is possible. That this business is possible, it's sustainable, it's viable, it's worth doing. And I have a new sense of confidence around what I'm doing and what I'm sharing with my audience. Allison's support has been invaluable with not only the business strategy aspect of my business, but also the mindset. She supported me through my limiting beliefs and helped me to understand how I was holding myself back." The program is for women who want to make 2020 the year where they chase down and capture their first 6-figure year, and who want to truly create the impact they know they are meant to make, all on their terms. if this is you, the legacy mastermind is waiting for you.